Dementia Adventure enables people living with dementia to get outdoors and connect with nature, themselves and their community, whilst retaining a sense of adventure in their lives. They also provide free dementia training for family carers and lead research into the benefits of outdoor activity. 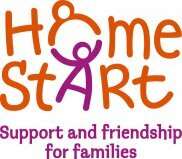 Home-Start Chelmsford are part of one of the leading family support charities in the UK, working with over 60,000 children and families across the country. Home-Start volunteers help families with young children deal with the challenges they face. They support parents as they learn to cope, improve their confidence and build better lives for their children. The Ark Centre is a purpose-built therapy centre in Chelmsford, Essex offering individualised, early intervention therapy for children with autism and/or social communication difficulties. South East and Central Essex Mind provides a range of services for people experiencing mental health difficulties in the South East and Central part of Essex. Farleigh Hospice provides hospice care to people affected by life-limiting illnesses across mid Essex. Canine Partners pairs specially trained assistance dogs with people who have physical disabilities. Interact works with people of all ages with learning disabilities / additional needs, offering a wide range of fun, and social activities along with training and support opportunities. The J’s Hospice improves the lives of young adults (aged 16-40) with life-limiting conditions and their families across Essex. The J's provides tailored nursing and emotional care, advice and activities in the comfort of their own homes or in the community.